I got my c64 when i was 7 years old, a couple of years before i got my first Nintendo. I loved my c64 but even back then i never understood why the controller only had one single button, it was so irritating. And it bothers me still today. There are always workarounds when the developers created all these amazing games, the most obvious example is all the platform games, you often need one button to execute your action (punching or firing your weapon), but then you also need a button to jump. So how did they solve this, well just push up on the joystick. So simple but yet extremely annoying, i just hate to push up to jump it should have its own button! And now, finally its possible! 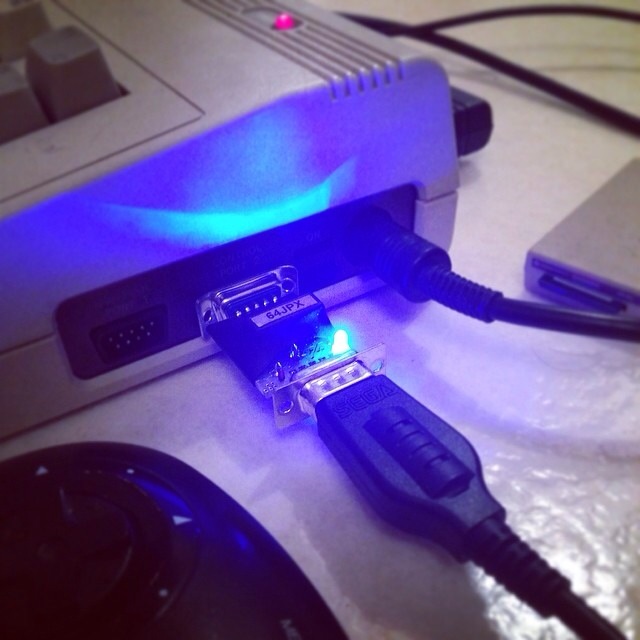 The 64JPX – JoyPad eXpander is a small apapter for the c64 (and Amiga and Atari compatible systems) that makes it possible to use a Sega Genesis/MegaDrive, Nintendo SNES/NES gamepad on your c64, and the best part is that it has these on-the-fly selectable enhancement modes that for example places the “push-up-on-the-joystick-to-jump” to one of the buttons on the gamepad. 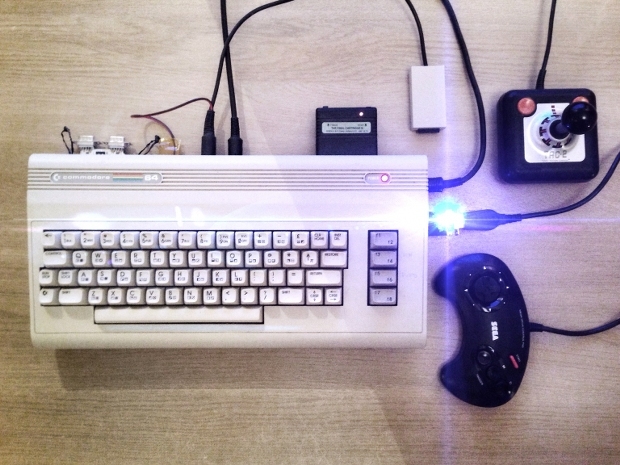 Some of you might say “But you dont need an adapter to connect a Sega Genesis/Megadrive gamepad to the c64, they already work” Well that’s true, but not many people know that a connected Sega gamepad on a c64 can actually break the controller port on the c64! With the 64JPX you dont have to worry about this, just plug and play. And now to the fun stuff, the “Enhancement modes” There are three different pre-defined modes that you can switch between on-the-fly while playing a game by pressing a special button combination on the gamepad. If buttons A, B, or C are pressed at the time the start button is released then 64JPX will enter one of the alternate enhancement modes. With the default mode the A button on the gamepad works just like the button on a Joystick. B and C are turbobuttons, perfect for shooter games. My favorite mode is the Platform/Racing mode that changes the A button to simulate pressing UP on the gamepad. In platformgames like Giana Sisters you now have a dedicated jump and fire button, i just love this! And it also works great on racing games where up sometimes is used to accelerate or switching gears. There is also a Waddle mode for those Joystick-killer games where you have to waddle the joystick left and right, but instead of breaking your controller you can just enable this mode and press a button. I made a video demonstrating the three different enhancement modes on some c64 games. I was really pleased with the 64JPX adapter and I really recommend it! The adapter is created by the man who is behind the 64hdd website. I sent him a couple of mails regarding some questions about the adapter and I got a reply very fast, very helpful. No problems ordering and the shipping was very fast. Do you remember those old Commodore 64 games when you didn’t know what to do, no explanation in the game on how to play it, no manual describing the story and no text or tutorials explaining what the hell was going on. And the games where also extremely hard and frustrating, but somehow you just accepted this and just play them over and over again. This is how it felt like to play Darkness. In Darkness you move from one screen to another and there are over 100 screens, and you have no idea where to go and it’s extremely easy to get lost also without a map in the game you don’t know what to go so you just go back and forth and after while you will probably die and here’s one of the most frustrating parts of the game, You one have ONE life NO continues! Every screen has enemies spawning at random places and attack you very quickly so its very easy to get hit. Yes you have a little life bar and the possibility to upgrade your weapon, but that’s not enough! So after exploring many many screens and have no idea where you are and where to go, you suddenly die and its GAME OVER.. all is lost! This is not fun or challenging instead its hard, frustrating and evil! Making a game like this today is very hard to accept when comparing how games are designed today. Back in the 80’s we didn’t know better and just accepted these frustrating games. But today games are so much better and fun. They have clever level design with built-in tutorials to make the player learn the game while playing them. Today’s games are about playing the games and having fun, giving the players extra lives to reach the goal. Darkness doesn’t live up to today’s standard and instead is a game from the past. There are so small things that could have been added to Darkness to make it sooo much better and playable, first why not adding an in-game map? The “newly” released c64 game Fairy Well from 2012 had an great in-game map showing you all the screens, where you are, and what screens you have visited and where to go! It made the game so much more fun! Why not add this into Darkness? And why not add a couple of extra lives and continues? why not? People may not agree with me and this this is how it should be, evil and frustrating. But i think a couple of more lives would make it better. Also the game is pretty repetitive, you move from screen to screen and enemies spawn an attack you, i just don’t see the fun in this. If there would have been some puzzle elements added, maybe small quests, people to talk to and other stuff to motivate you instead of just running around and getting confused then the game maybe would have been a little more fun to play. Its a shame because the game has potential and the graphics are amazing and has great music and sound effects. 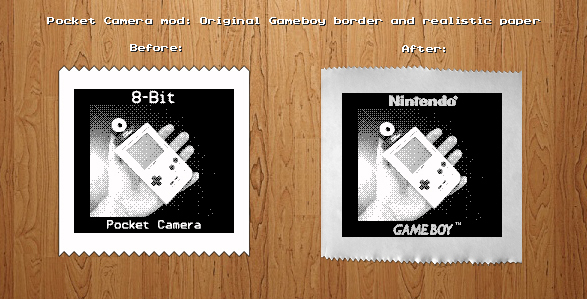 I love to support new games that are made for the C64. I love to support the publishers like Psytronik and RGCD that make these games real but a game like this is hard for me to recommend. If you want an old-style and frustrating game and want to support the developers then purchase this game, but if you are looking for a fun game i would probably recommend purchasing some other game from Psytronik or RGCD. Darkness is avalable on Psytronik here and on RGCD here.